Zagorka brewery, established in 1902 in the central Bulgarian town of Stara Zagora, joined the Heineken group in 1994. Since then, Heineken has invested more than 133 million euro in modernisation and capacity increase at its Bulgarian unit. Zagorka has been focusing on sustainable development, including protecting water resources, reducing CO2 emissions, advocating responsible consumption and supporting local communities. 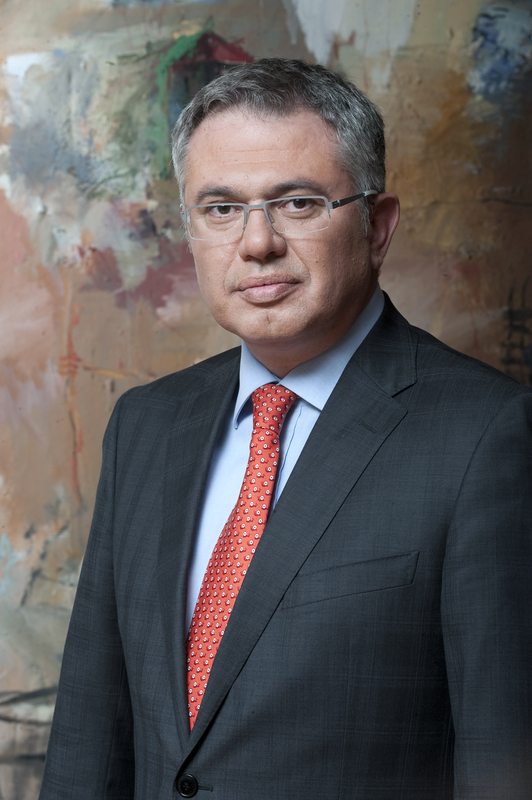 Nikos Zois took the post of managing director of Zagorka in June 2016. Sustainable development has long been a top priority for both Heineken and Zagorka. What initiatives in this area do you have underway and what others do you plan? We at Zagorka believe that a successful business is a sustainable business. As a company with a 110-year history that is part of global brewer Heineken and has a portfolio of brands that Bulgarians love, we believe in the long-term approach to creating sustainable value for our business and our stakeholders. Sustainability is among the core priorities and of strategic focus not only to Zagorka, but also to Heineken. Thus, our corporate social responsibility is incorporated within the Brewing a Better World platform, which is a business imperative for Heineken, and Zagorka applies it in Bulgaria. Our sustainable development efforts focus on protecting water resources, reducing CO2 emissions, sustainability of resources, promoting health and safety, advocating responsible consumption and supporting the local communities. A major goal is to have influence in the spheres in which Zagorka operates and to which it can bring positive changes. A key long-term project is Zagorka Green Fund, launched in 2011 and realised in the form of a national public competition for green ideas that could help achieve more efficient water and energy use in urban areas. We also undertake initiatives regarding responsible consumption. We have a campaign that focuses on the harm of underage alcohol consumption. Together with our partners – Sofia Municipality, Innovation Starter and little thanks – we strive to prevent alcohol among minors. In 2016 Zagorka once again announced a public call for projects for more efficient energy and water use in cities. What are the main criteria that a winning project should meet? What would you ultimately like to achieve with this initiative? The evaluation criteria aim at choosing a project that can be actually realised and allows more people to benefit from its implementation. The idea should be economically justified and should not require scientific resources and developing new technology in order to be realised. Zagorka Green Fund proceeds in four stages: recruitment of projects; evaluation of proposals; public online voting to choose a location for the realisation of the winning project; implementation by Zagorka of the winning idea in the Stara Zagora region. Our main goal is to make urban areas a greener place and show that a lot can be achieved with simple steps. Responsible alcohol consumption is another issue to which Zagorka devotes significant resources. Could you elaborate on your activities in this area? As I mentioned before, we are doing an underage campaign, and we believe that a discussion on this topic in the public area is much needed. Alcohol is not a game – actually, this is also the slogan of our campaign, which aims at pointing this out in an understandable way for teenagers, with helpful tips for parents and teachers, and special communication to outlets for responsible selling of alcoholic beverages. The official launch of the campaign was on September 16, the Enjoy Responsibly Day, which marks responsible alcohol consumption worldwide. We arranged design thinking workshops, one for teenagers, and another one for teachers and media, with the goal of finding the right ways to reach our target group and start an efficient public discussion on the harm of alcohol consumption by minors. What are the highlights of the company’s development plans for 2016 and 2017? We will keep our focus on offering a wide portfolio of high quality brands that Bulgarians love. We plan additional investments in our brewery in Stara Zagora – installing new box depalletizer, renovation of the cans line and completion of the treatment station. Within our main focus remain responsible energy and water use, applying of state of the art practices within the working process, the health and safety of our employees, care for the local community and last, but by no means least – responsible consumption. No business plan will work without people, so our priority will be continuous investment in people development.